← In Education, The End Depends On The Beginning. Whatever one may say about our twenty-eighth president’s views about The United States’ role as promoter of democracy and capitalism and interventionism throughout the world, I think we have to give him whole-hearted applause for his views on authentic liberal education. When you say a young person must be prepared for his life-work, are you prepared, is he prepared, are his parents prepared, to say what that life-work is going to be? The answer to this is NO! Do you know a boy is going to be a mechanic by the color of his hair? Do you know that he is going to be a lawyer by the fact that his father was a lawyer? Does any average and representative modern parent dare to say what his children are going to be? Again the answer to the first two questions is “no” and “no,” but there certainly are more than a few average modern parents who do in fact dare say what their children are going to be, or at least dare to say what their children won’t be. Witness the shortage in religious vocations for example. My chief quarrel with the modern parent is that he does not know, and that he hands that question over to the youngster whom he is supposed to be advising and training. The elective system of education which began in the university (where it properly belongs), and crept back into the college and has now permeated most high schools and is even seeping into (if you can believe it!) 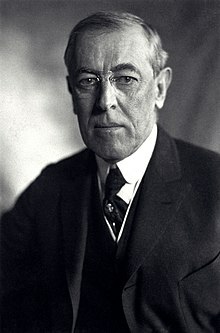 the primary school, is an exact exemplification of what Wilson is saying. “Son, daughter, you must be successful in life. I don’t know what you are going to be or how you are going to accomplish this. I who am older and wiser than you don’t know how you should be educated. I don’t know what precise path you should take. I will not prescribe a certain path for you to follow. No… making these important decisions about your life and your success must all be left up to you who are relatively ignorant about all things. Every choice about your intellectual formation must be made by you according to your own whims and passing fancies. That is what the elective system is isn’t it? I just can’t get over how silly it is on the face of it. It represents a complete abdication of responsibility on the part of those who are supposed to know better. As your doctor I recommend health to you. But what health is and how you should acquire it is completely up to you. You must make your own diagnoses and choose your own prescriptions. You might think that this comparison is too strong. Yes- that would be ridiculous for doctors to let their patients diagnose themselves and write their own prescriptions. But the health of the body is a very delicate and important thing. There are very precise methods, rules, and best practices that must be adhered to in order to obtain and maintain health. What is more important, the health of the body or the health of the soul? Which is more easy to achieve? If the health of the body requires certain precise methods and practices, how much more would the health of the soul require these! It is not difficult to understand why parents abdicate their responsibilities as primary educators and why as a consequence, the children themselves, or rather the passions, whims and fancies of the children, become the primary architect of their own intellectual formation. The reason is that many parents no longer know what an education is. And so they substitute the imagined idea of their child’s success in a career, a career which they know not, for education. Wilson said this in 1909 speaking to the New York City High School Teachers Association. More than a century later …. progress? This entry was posted in catholic education, college, education, Liberal Arts, liberal education and tagged Blind leading the blind, elective system, Electives, Woodrow Wilson. Bookmark the permalink.